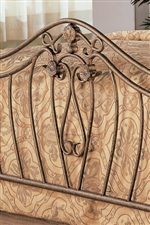 The Sydney collection will give your transitional master bedroom a classic and warm look that you will love. 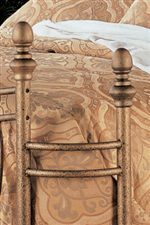 In a warm Antique Brushed Gold finish, these iron pieces will blend easily with any decor, from traditional to casual. Elegant curves, and swirling details with floral accents create a pretty style. 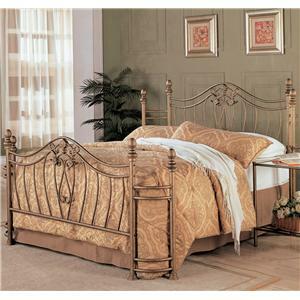 Comfortable and stylish, these pieces will help you create a bedroom ensemble that is ideal for relaxation. Browse other items in the Sydney collection from Value City Furniture in the New Jersey, NJ, Staten Island, Hoboken area.